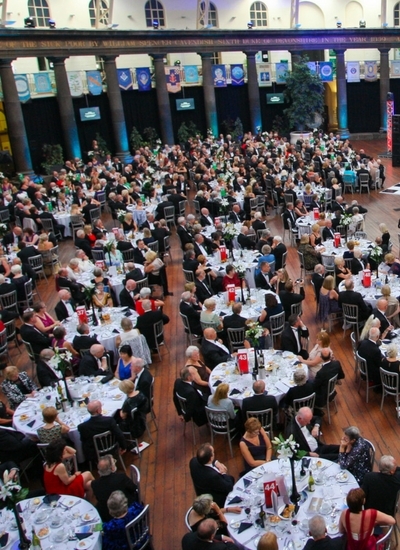 The Devonshire Dome is host to some of the country’s most prestigious events, including award dinners, corporate events and private celebrations. Providing a mouth-watering selection of banqueting menus to suit any occasion, the Devonshire Dome is able to cater for parties of up to 700 people. Should you wish to offer a bespoke menu to your guests, our Head Chef is more than happy to design an alternative to help you provide a more personal touch. All of our produce is locally sourced where possible and made by our Head Chef and his very experienced team. With a fully licensed bar and a team of Event Planners to assist you and your party with any requirements you may have, the Devonshire Dome provides a breathtaking backdrop to any experience.